You want the employees in your office building to be happy and productive. You can offer incentives for productivity and host holiday parties and other events to create a fun and happy work environment. You should also consider the cleanliness of the office itself. There are several benefits of a clean office. A clean office is a healthy office. You don’t want your employees home sick. Did you know that a lot of germs and allergens live in dirty carpet? You can have those allergens removed if you schedule an appointment with Chem-Dry of Fort Wayne in Allen County, IN. 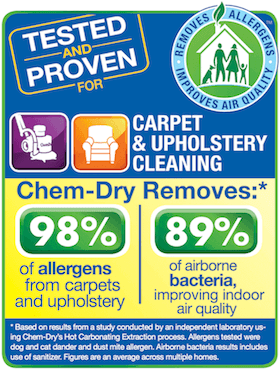 Chem-Dry of Fort Wayne carpet cleaning for allergy relief removes over 98% of allergens from carpet. Our sanitizer helps remove over 89% of bacteria from the air in your office too. Let’s face it. If your office is not clean it will not appear professional to your employees or clients. There are certain standards expected when it comes to the cleanliness of an office and if you want your office to have a professional atmosphere it needs to be clean from the top to the bottom. Your employees spend a lot of time at the office. You don’t want them to be depressed while they are in your office building because of how dirty it is. 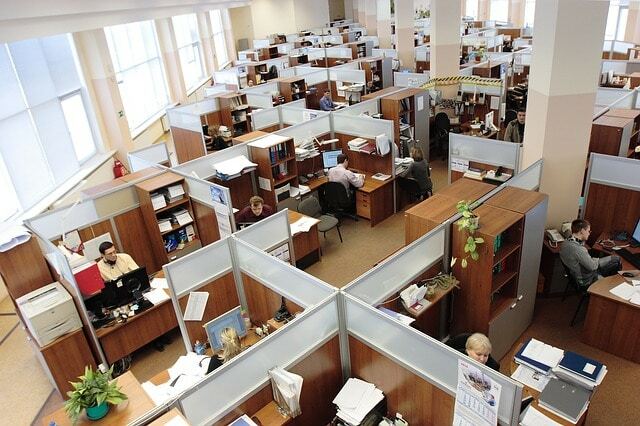 A bright, clean office space is much more likely to boost morale than a dark and dirty environment. You don’t want any time you or your employees spend at the office to be wasted on cleaning. Be sure to schedule a janitorial service for routine cleaning, vacuuming and garbage disposal. For commercial carpet cleaning, hire a certified service like Chem-Dry of Fort Wayne. Chem-Dry of Fort Wayne offers flexible scheduling to meet the hours and needs of your business. Your carpet dries fast so that it won’t be wet when your employees arrive for work. We don’t use chemicals either so there is no risk of toxic fumes or allergies or ailments related to the solutions we use for carpet cleaning. Receive a free estimate from Chem-Dry of Fort Wayne when you call (260) 409-1138. Your employees will be so happy you did!